The LabRAM HR Evolution systems are ideally suited to both micro and macro measurements, and offer advanced confocal imaging capabilities in 2D and 3D. The true confocal microscope enables the most detailed images and analyses to be obtained with speed and confidence. 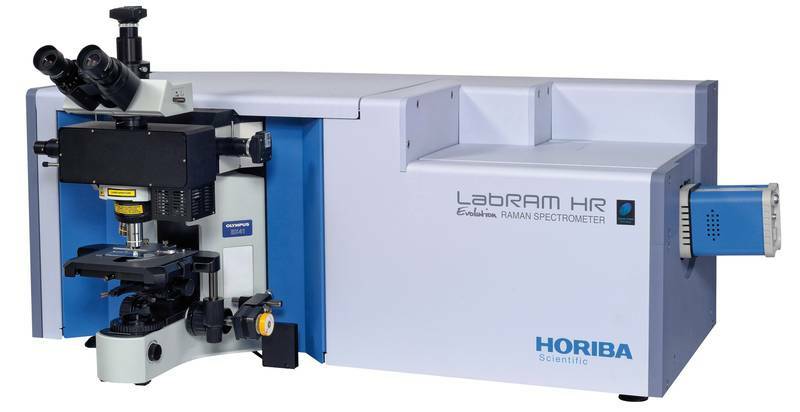 With guaranteed high performance and intuitive simplicity, the LabRAM HR Evolution is the ultimate instrument for Raman spectroscopy. They are widely used for standard Raman analysis, photoluminescence (PL), tip enhanced Raman scattering (TERS) and other hybrid methods. The LabRAM HR Evolution includes the unique SWIFT™ and DuoScan™ fast Raman imaging technologies. DuoScan™ is a confocal imaging mode, with high precision, ultra-fast rastering mirrors creating variable sized laser macro-spots, and also allowing nano-step mapping from deep UV to NIR. SWIFT™ offers confocal Raman mapping with CCD integration times down to 1 ms per point and below.